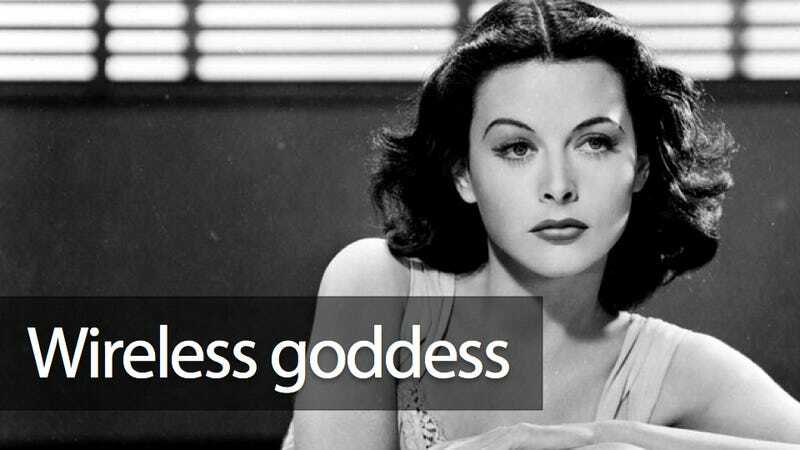 "HEDY LAMARR, screen actress, was revealed today in a new role, that of an inventor," reported The New York Times on 1 October 1941. "So vital is her discovery to national defense that government officials will not allow publication of its details." At least that was the analogy - and the analogy was what sunk their plan. When the US navy rejected their invention, Antheil remarked: "My God! I can see [them] saying, 'We can't put a player piano into a torpedo!'" The usefulness of their idea went unrecognised until the 1950s, and unimplemented until the 60s. By then the operating premise, known as spread-spectrum, had applications far beyond torpedoes and frequency-jamming. Information theory proved that a signal was made more robust - and could be transmitted more efficiently - if spread across multiple frequencies. The problems introduced by new technologies gave an old idea new salience. Today, for example, frequency-hopping prevents cellphone conversations from criss-crossing. The Lamarr-Antheil saga reveals much about the nature of innovation. As Rhodes rightly points out, inventions are "by definition genuinely new", but because they are grounded in practicality, are "different from fine art or scientific discovery". His careful historical reconstruction reveals how the pathways of innovation are intertwined, like an ecosystem. Ideas suggested by practical needs often fail to meet those needs for trifling reasons, only to later serve purposes that could never have been anticipated. Rhodes misses an opportunity to pursue these concepts beyond the narrow confines of this story, yet as with the invention he describes, this insightful book has more implications than he ever could intend.